Igot an amazing birthday present from Sanne; this J.W. 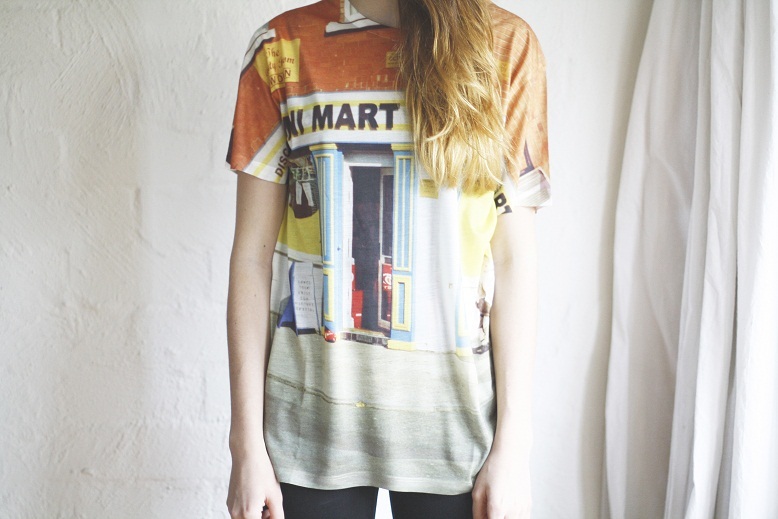 Anderson for Topshop T-shirt! When you look in the slider on our homepage you see Sanne's cut out Topshop Boots. And it's funny because for that slider I used a photo of Kate Bosworth wearing this T-shirt, while Sanne already ordered it for me. So she knows good what I love! I can't wait till summer so I can wear it. Here you can see Sanne's post about here cut out boots. She also got an item from the J.W. Anderson for Topshop collection, you can see it here! Wauw wat een bijzonder shirt! Leuk. Wow, love it. It seems so Hopper. Wauw, wat een mooie top! Echt bijzonder, want ik heb hem nog nooit gezien. Hij is echt prachtig Laura! zo mooi! 'k vind die tweede foto langs achteren ook heel tof!